Ah,if only it were an Emmy! I dont know what I would be getting one for, but it would be nice, to just you know... have one. Okay, so what is this post about if it is not about the Emmys? Well it is about my first nomination! I was nominated for the Liebster Award, YAY ME!!! 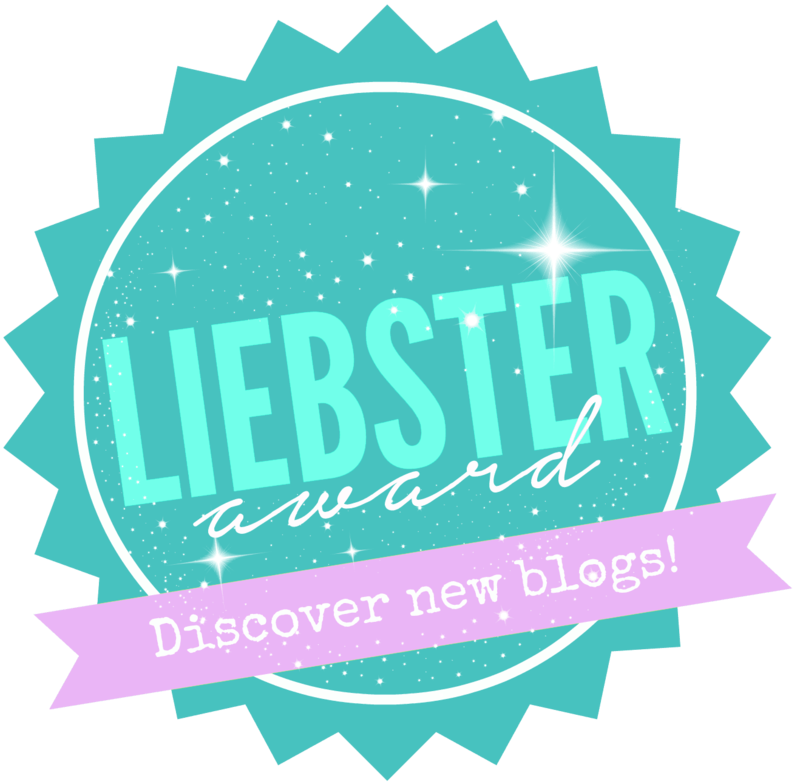 What is the Liebster award? It is an award that is passed down from blogger to blogger. It is a great way to helps us discover new blogs. I was nominated by Tori from Tori In the Thousand Oaks. She has an awesome blog that includes adorable DIY crafts, her journey through college and some very cute videos with her roommates. Although she is younger than me I feel like I can learn tons from her, and her perspective on life. Tori gave me 11 questions to answer with this nomination so here we go! 1.If you could go anywhere in the world, where would you go and why? I was just recently asked this during a twitter chat last week and I gotta say Ireland I have had that in mind for a while and last year a friend of mine went there. I fell in love with her pictures and her stories. I also have always loved Greece it looks beautiful, and their culture is just amazing. Lastly, Kensington Gardens in London, because I love Peter Pan! Well the idea came to mind when I decided to move cities. It was a big decision. I had put in the back of my mind for a couple of months. It wasn’t until I was in church that I began to have this urge to share certain not so great stories about my walk with God. The urge was overwhelming. That is where I actually began to work towards starting this blog. So although my blog does not revolve openly on my Faith, it is what got me started. 3. Who would you choose to star in a movie about your life? I am gonna say Selena Gomez or Vanessa Hudgens. For some reason my dad has said that, when he sees movies they are in, he is reminded of me…not sure why though. And no, he has not seen Spring Breakers- probably for that same reason. 4. If you could choose one super power to have for a day, what would it be and why? I think I may have too many that I can write a post on just things that I consider pet peeves, but my biggest one has to be-Being late. Maybe it is something I picked up from when I was in JROTC back in High School, but it annoys me. 7. What is your favorite post you have written? It may seem weird, but the review I wrote about Curtis Grimes - Bottom of the Fifth Album Review has to be my favorite. Maybe, its because I truly believe that God has used Curtis and his music as a way to help me expand this blog and the music portion of it. Many little things have happened where I have been able to expand my blog audience and they have had to do with him or his music. 8. If you could only have one food for the rest of your life what would it be? Since the time I was preparing for my 5th birthday I knew all I wanted in life as far as food was Chips and Guacamole. To this day I feel the same way. I have my Bachelors of Social Work. Ideally, I want to be able to work with military families, partially because I have so many friends that are in the military and I see some of their family struggles. The only thing is that I am supposed to get my Masters or my License to even start working in the field and that is not a possibility right now. 10. What do you love doing in your free time? Currently I have been doing a lot of writing. Looking and trying to familiarize with new music, in particular Texas Country. I also like finding new places around here in this new city with my mom. 11. What is one piece of advice you would give a brand new blogger? I have seen this before from other bloggers and I think it would have been a great idea- plan posts before you start your blog, or have ideas of what you want to write about. Also, if you have already started either Facebook groups or Twitter chats are great. They are excellent ways to get to know other bloggers. Now It is my turn to nominate some beautiful bloggers who are also starting this new journey! – In your post, be sure to link back to the blog that nominated you (me!) with a thank you and a shout out. So,heeeyy! – Select, list, and link to a set of new bloggers with around 200 followers or so. Provide them with these instructions and give them an additional 11 questions to answer. -When you’re all finished, come back here and comment with the link to your post so I can read your answers! Now it is my turn to ask the questions, you ready? 1.Where did you get the inspiration for your Blog name? 2.What is your favorite family vacation? 3.What makes you laugh the most? 5.What is your favorite childhood memory? 8.If you had to describe yourself as an animal, which one would it be? 9.If you could live in a book, TV show or movie, what would it be? 10.What book has influenced you most? 11.What would be your “perfect” day? Welcome to the blogging world yall, I am looking forward to getting to know each and everyone of yall even more! Everybody make sure to check them out yourselves. I have just uploaded my blog post. So nice to learn about you, and congrats on the Liebster. The best part of this award is finding out about the blogger behind the blog. I look forward to reading more from you. thank you so much! I loved being able to find new bloggers that are also starting on this new adventure with me. I updated the blog with your Liebster Award questions. I completely adored your responses, but I didnt see where I could make comments. Did I miss it?